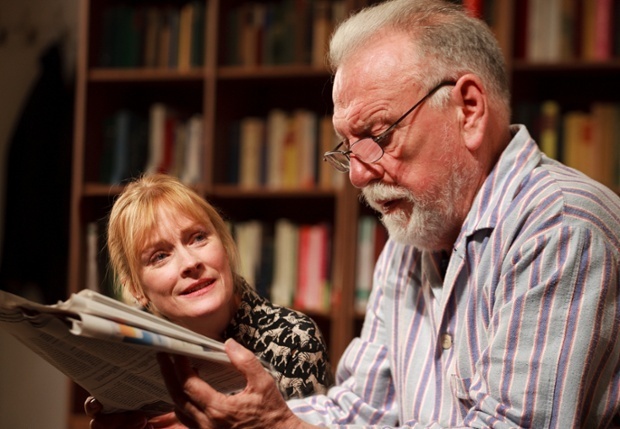 Claire Skinner and Kenneth Cranham in Florian Zeller’s The Father at the Tricycle Theatre, London. It’s the last chance this week to catch the French playwright Florian Zeller’s mind-bending play The Father, in which the father of the title (played with heart-rending bluster and vulnerability by Kenneth Cranham) and his descent into dementia has unsettling consequences for all around him – and all watching. 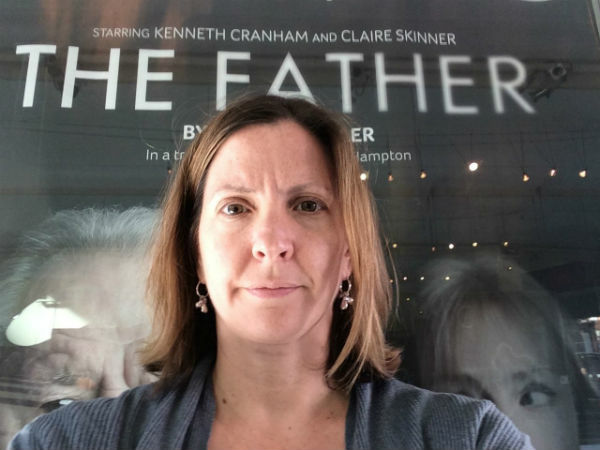 After its limited season at London’s Tricycle Theatre, The Father has returned for one final week at Theatre Royal Bath, where it had its English language premiere last year and where it follows the UK premiere this year of Zeller’s earlier companion piece The Mother (which was first seen in France in 2010, two years before The Father). I missed The Mother in Bath, but perhaps if we’re lucky, it too will be reprised and transferred for a London run – maybe in a re-run with The Father, which deserves a wider audience still, in my opinion. 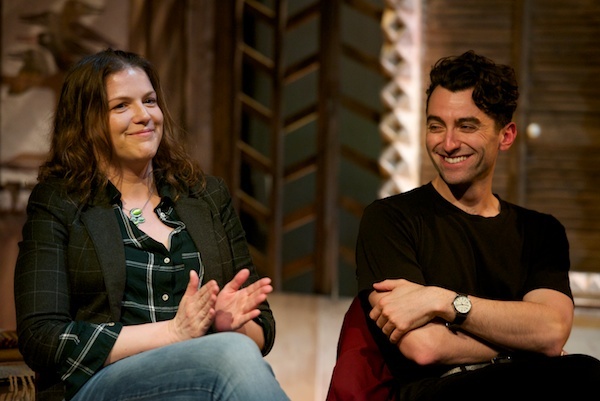 In any case, I’m sure we’ll be seeing more translations of the work of Zeller, the young Moliere Award-winning playwright hailed as “one of the hottest literary talents in France”. 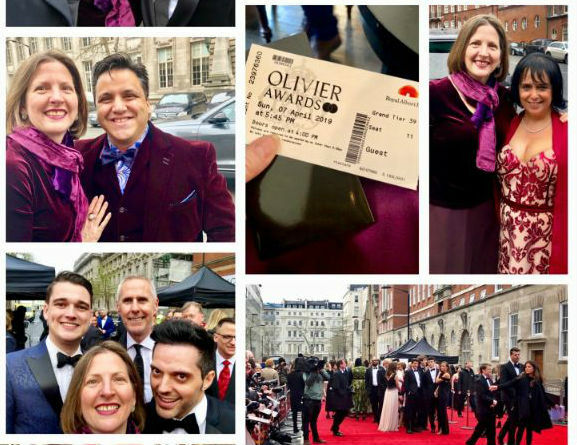 I remember, when The Father’s dates were first announced at the Tricycle, making a mental note to absolutely not miss it, no matter my fluttering apprehension. 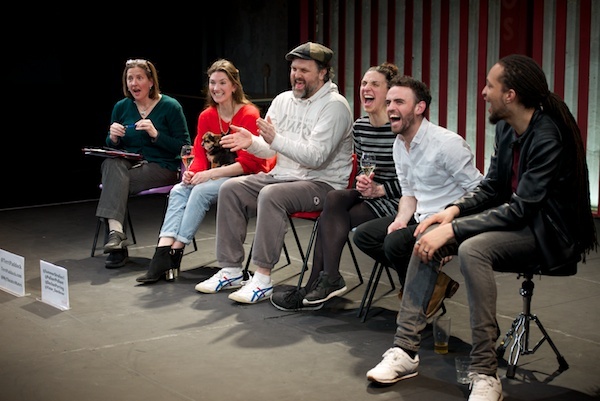 As readers of my blog will know, last spring, I had a terrifying scare with my own father’s memory loss – acute, post-operative delirium rather than permanent onset dementia – and, as with Barney Norris’ Visitors, I was prepared to have this play cut very close to some personal bones. Tears streamed down my face as I watched. So I wasn’t wrong in my prediction, and nor was I alone. The man next to me, as he escorted an unsteady me out of the theatre, shared his own story about how he had to put his mother into a home and watch her deteriorate. What I wasn’t prepared for on this trip to the theatre was the tricks that Zeller’s story, in its rewinds, fast-forwards and subtle alterations of scenes and personal histories, would play with my own memory. 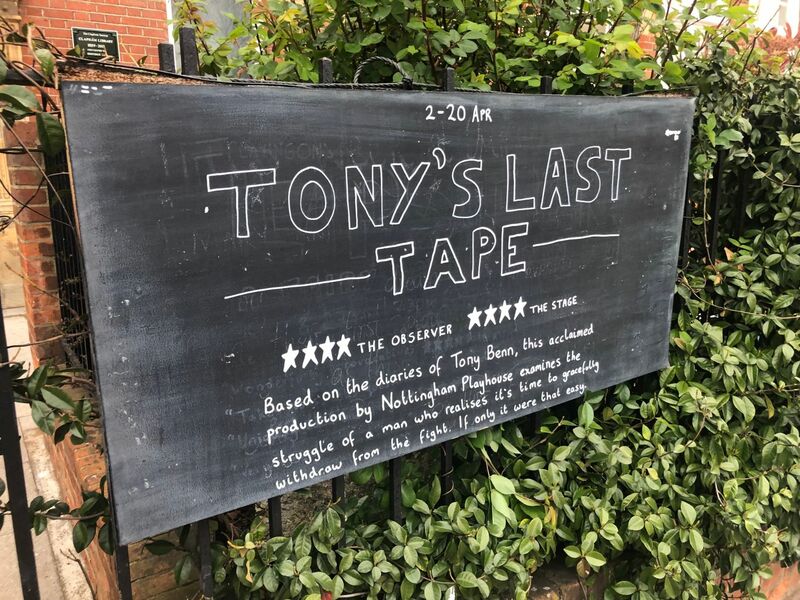 I had attended a Saturday matinee of The Father and, as I exited the theatre, I blinked into a brilliant sunny afternoon and stepped out into an area of London that I once knew well. Kilburn and its environs – West Hampstead to the west, Queen’s Park to the east – used to be my stomping ground. 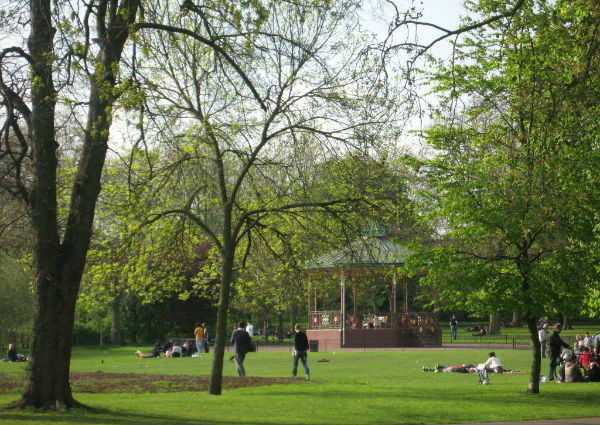 I maintained then, and still maintain, that Queen’s Park is the best local park in London. A tiny green gem, with gazebo, petting zoo, paddling pool, tennis courts, a café that serves to-die-for cakes and a wide, open field for frolicking. As I had time to spare and weather to enjoy, I decided to head for the park to run my toes through the grass. But then, wandering through the side streets of Kilburn, I took a detour and then another down memory lane. Kilburn has played a big part in my London life over the years. Most recently, in my late thirties, one of my closest girl friends moved there, and, as we stumbled through extended single periods, we’d spend many an evening at her flat or in the bars and cafes along Salusbury Road, bemoaning the lack of good men. 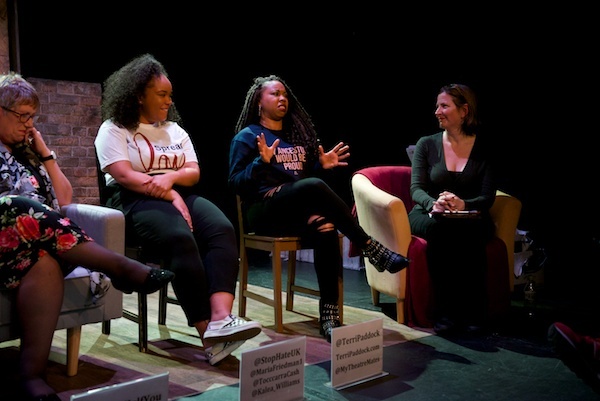 Rewind even further, to my early 20s, when I was pretty fresh off the transatlantic boat, and it was a man – and, yes, a good one – who first brought me into close acquaintance with Kilburn. He and I knew each other through work – he was a high-tech journalist, I was a high-tech PR. I lived in a West Hampstead flatshare then, and was vaguely aware that he lived in neighbouring Kilburn. However, I didn’t know where exactly until my flatmates and I were buying a Christmas tree at a pop-up market on Kilburn High Road. As the three of us struggled to fit our newly acquired tree into the boot of our borrowed car, I, literally, bumped into The Good Man as he rounded the corner into the street where he lived. We were inseparable from that day forth so I spent a lot of time on that street in subsequent months. And, in subsequent years, after The Good Man became my good husband and we backpacked our way around the world for six months in lieu of a traditional honeymoon, we returned to Kilburn to rent a bright and airy top floor flat one street over, and then to buy our first home together, a pokey one-bedroom garden flat on the Queen’s Park borders. After The Father matinee, it was the friend’s old flat on Victoria Road that I passed first. I raised a smile and swiftly sent a nostalgic text to the friend, who now has two young kids and lives in Hertfordshire. 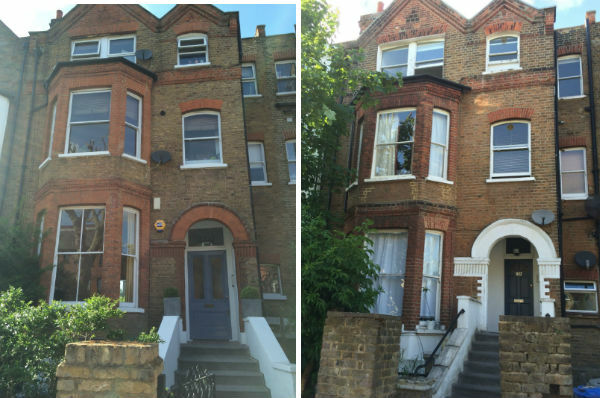 Some meanderings later, I found myself on the street where The Good Man and I had our first London home together: Brondesbury Villas. I could remember clearly some details of that rented flat – the creak on the stairs before the front door, kitchen cabinets with a red trim, a bedroom that overlooked a back garden that the ground floor tenants let grow wild – but as I walked down the street, I couldn’t for the life of me remember the number of the building. Sadly, unlike with the friend, I couldn’t text The Good Man to check. Though he’ll always have a place in my heart, he’s now someone else’s good husband and we are no longer in touch. When I eventually made it to Queen’s Park, I stared at the pictures I’d just snapped of what may or may not have been our old home, a place where we were happy, and I tried to retrieve more memories of our time together there. But most of these images had grown wily and fuzzy around the corners; I couldn’t bring them into sharp relief. Not alone. What happens to memories if they’re no longer shared? Are they like trees that fall noiselessly in the wood where there’s no one around to hear them? It felt, like with Kenneth Cranham’s character in The Father: that that the portion of my life had been irretrievably altered, lost to me. I have never had the greatest memory – and aging can’t be blamed – so memories for me only really stay alive when I can reminisce about them with the person or people who helped me create them. What then happens to memories if they’re no longer shared? Are they like trees that fall noiselessly in the wood where there’s no one around to hear them? The only way we can live life is forward, but if we can’t look back with a clear vision, what do we lose? Memory, and memories, are so precious. I must pay more attention. UPDATED October 2015: The Father has now transferred to the West End’s Wyndham’s Theatre for a limited season until 21 November 2015. CLICK HERE FOR TICKETS.